Home » Calendar » 18th & 19th Century Colloquium: Ruth Yeazell, "Henry James's Portrait-Envy"
Please join the 18th and 19th Century Colloquium for our final event of the semester: a presentation by our own Ruth Bernard Yeazell, Sterling Professor of English, on her article “Henry James’s Portrait-Envy.” The event will be held Thursday, April 11, at 4 p.m. in LC 319. Max Nelson will deliver a response. 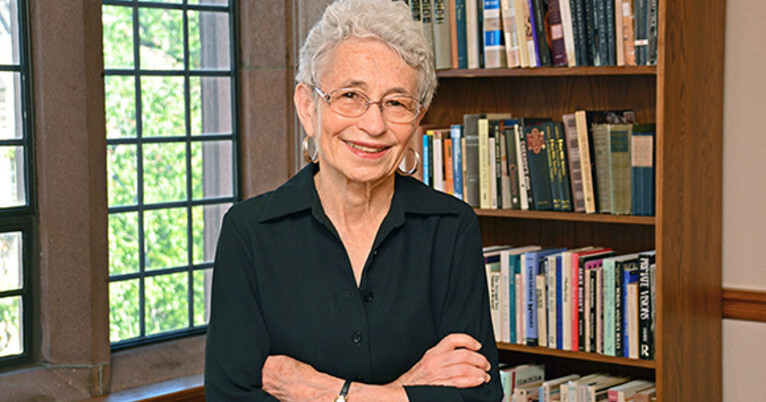 Sterling Professor of English at Yale Ruth Yeazell’s research and teaching focus on the novel from the eighteenth to the twentieth century, the history of gender and sexuality, and the relations of literature to the visual arts. As a teacher and critic, she is concerned with the way works of art both respond to and imaginatively transform their culture. She also enjoys writing on a variety of literary and other topics for a wider public in the London Review of Books and elsewhere. Among her recent books, Art of the Everyday (2007) concerns seventeenth-century Dutch painting as a model for literary realism and includes chapters on Balzac, George Eliot, Hardy, and Proust. Picture Titles: How and Why Western Paintings Acquired Their Names (2015) asks how the naming of pictures has shaped their reception from the Renaissance to the present day.